Paperback releases for the week of March 11th include BEAUTIFUL DAYS, a new collection from Joyce Carol Oates, whose diverse stories explore the most secret, intimate and unacknowledged interior lives of characters not unlike ourselves, who assert their independence in acts of bold and often irrevocable defiance; GREEKS BEARING GIFTS by the late Philip Kerr, in which a vicious murder puts Bernie Gunther on the trail of World War II criminals in Greece; Jennifer Zeynab Joukhadar's debut novel, THE MAP OF SALT AND STARS, the story of two girls living 800 years apart --- a modern-day Syrian refugee seeking safety and a medieval adventurer apprenticed to a legendary mapmaker; and MR. 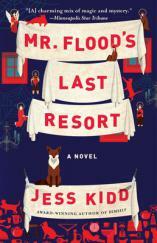 FLOOD'S LAST RESORT, Jess Kidd's spellbinding tale of a lonely caregiver and a cranky hoarder with a house full of secrets. Any number of artists have produced evocative work, paintings that could trigger a literary response. But none came to mind who could equal Edward Hopper in turning out canvas after canvas. 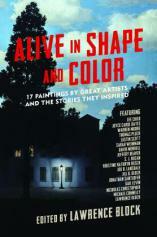 If no single artist could take Hopper’s place, how about a full palette of them? 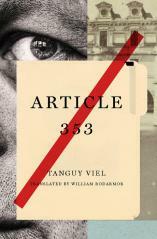 Suppose each author was invited to select a painting from the whole panoply of visual art. In artists ranging from Art Frahm and Norman Rockwell to René Magritte and Clifford Still, the impressive concept goes on to include Thomas Pluck, Sarah Weinman, David Morrell, Craig Ferguson, Joe R. Lansdale, Jill D. Block, Justin Scott, Jonathan Santlofer, Gail Levin, Nicholas Christopher and Lee Child, with each story accompanied in color by the work of art that inspired it. 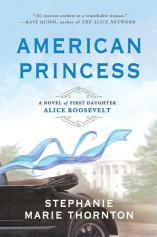 Alice may be the daughter of President Teddy Roosevelt, but she's nobody's darling. As bold as her signature color Alice Blue, the gum-chewing, cigarette-smoking, poker-playing First Daughter discovers that the only way for a woman to stand out in Washington is to make waves --- oceans of them. With the canny sophistication of the savviest politician on the Hill, Alice uses her celebrity to her advantage, testing the limits of her power and the seductive thrill of political entanglements. But Washington, DC is rife with heartaches and betrayals, and when Alice falls hard for a smooth-talking congressman, it will take everything this rebel has to emerge triumphant and claim her place as an American icon. In a depressed town on France's northern coast, a man named Martial Kermeur has been arrested for the murder of real estate developer Antoine Lazenec after throwing him overboard. 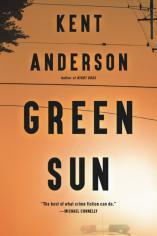 Called before a judge, Kermeur goes back to the beginning to explain what brought him to this desperate point: his divorce, his son's acting out, layoffs at his job, and, above all, Lazenec's dazzling project for a seaside resort. The temptation to invest all of your severance pay in a beautiful apartment with a view of the sea is great. But still, it has to be built. 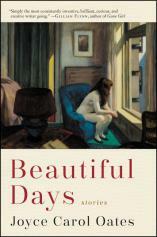 In BEAUTIFUL DAYS, Joyce Carol Oates explores the most secret, intimate and unacknowledged interior lives of characters not unlike ourselves, who assert their independence in acts of bold and often irrevocable defiance. In “Big Burnt,” a cunningly manipulative university professor exploits a too-trusting woman in a way she never could have anticipated. “The Nice Girl” depicts a young woman who has been infuriatingly “nice,” until she is forced to come to terms with the raw desperation of her deepest self. And the tragic “Undocumented Alien” depicts a young African student enrolled in an American university who is suddenly stripped of his student visa and forced to undergo a terrifying test of courage. In the great kingdom of Quandis, everyone is a slave. A young woman of stunning ambition, Princess Phela refuses to allow a few obstacles to stand in the way of claiming ultimate power and glory for herself. Far below the royals are the Bajuman. Poor and oppressed, members of this wretched caste have but two paths out of servitude: the priesthood or death. Because magic has been kept at bay in Quandis, royals and Bajuman have lived together in an uneasy peace for centuries. 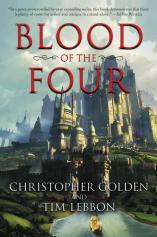 But Princess Phela’s desire for power will disrupt the realm’s order, setting into motion a series of events that will end with her becoming a goddess in her own right…or ultimately destroying Quandis and all its inhabitants. 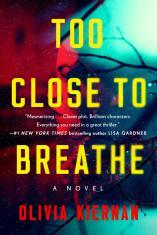 Sally Grissom is a top secret service agent in charge of the Presidential Protection team. She knows that something is amiss when she is summoned to a private meeting with the President and his Chief of Staff without any witnesses. But she couldn't have predicted that she'd be forced to take on an investigation surrounding the mysterious disappearance of the First Lady --- with strict orders to keep it a secret. The First Lady's absence comes in the wake of the scandalous, public revelation of the president's affair, so at first it seems as though she is simply cutting off all contact. What begins as an innocent respite quickly reveals itself as a twisted case when the White House receives a ransom note along with the First Lady's finger. In 1492, the Jewish and Muslim populations of Spain were expelled, and Columbus set sail for America. Luis de Torres, a Spanish Jew, accompanies Columbus as his interpreter. His journey is only the beginning of a long migration, across many generations. Over the centuries, de Torres’ descendants travel from Spain and Portugal to Mexico, finally settling in the hills of New Mexico. Five hundred years later, it is in these same hills that Miguel Torres, a young amateur astronomer, finds himself trying to understand the mystery that surrounds him and the town in which he grew up. Entrada de la Luna is a place that holds a profound secret --- one that its residents cannot even imagine. 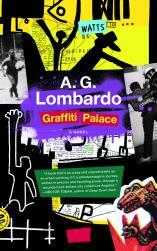 Americo Monk, a street-haunting aficionado of graffiti, is frantically trying to return home to the makeshift harbor community where he lives with his girlfriend, Karmann. But this is during the Watts Riots, and although his status as a chronicler of all things underground garners him free passage through the territories fiercely controlled by gangs, his trek is nevertheless diverted. 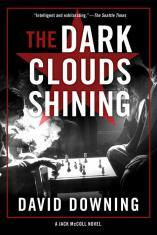 Embarking on an exhilarating, dangerous and at times paranormal journey, Monk crosses paths with a dizzying array of representatives from Los Angeles subcultures, including Chinese gangsters, graffiti bombers, witches, the Nation of Islam leader Elijah Muhammad, and others. Bernie Gunther has a new name, a chip on his shoulder and a dead-end career when an old friend arrives to repay a debt and encourages "Christoph Ganz" to take a job as a claims adjuster in a major German insurance company with a client in Athens, Greece. 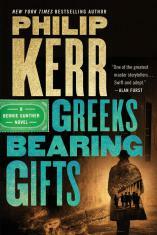 Bernie begins to investigate a claim by Siegfried Witzel, a brutish former Wehrmacht soldier who served in Greece during the war. Witzel's claimed losses are large and may be the stolen spoils of Greek Jews deported to Auschwitz. But when Bernie tries to confront Witzel, he finds that someone else has gotten to him first, leaving a corpse in his place. Enter Lieutenant Leventis, who recognizes in this case the highly grotesque style of a killer he investigated during the height of the war. Oakland in 1983 is a city churning with violent crime and racial conflict. Officer Hanson, a Vietnam veteran, has abandoned academia for the life-and-death clarity of police work, a way to live with the demons he brought home from the war. His sense of fairness and honor leads to a precarious friendship with Felix Maxwell, the drug king of East Oakland. He is befriended by Weegee, a streetwise 11-year-old who is primed to become a dope dealer. He falls in love with Libya the moment he sees her, a confident and outspoken black woman. When an off-duty shooting prompts an internal investigation, Hanson must finally face who he is, and which side of the law he really belongs on. Last year, Tom and Caroline Johnson chose to end their lives, one seemingly unable to live without the other. Their daughter, Anna, is struggling to come to terms with her parents' deaths, unwilling to accept the verdict of suicide. Now with a baby herself, Anna feels her mother's absence keenly and is determined to find out what really happened to her parents. But as she digs up the past, someone is trying to stop her. Sometimes it's safer to let things lie. In the summer of 2011, just after Nour loses her father to cancer, her mother moves Nour and her sisters from New York City back to Syria to be closer to their family. 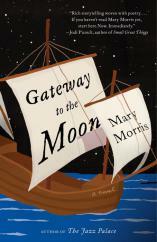 In order to keep her father’s spirit as she adjusts to her new home, Nour tells herself their favorite story --- the tale of Rawiya, a 12th-century girl who disguised herself as a boy in order to apprentice herself to a famous mapmaker. When a stray shell destroys Nour’s house and almost takes her life, she and her family are forced to choose: stay and risk more violence, or flee across seven countries of the Middle East and North Africa in search of safety --- along the very route Rawiya and her mapmaker took 800 years before in their quest to chart the world. 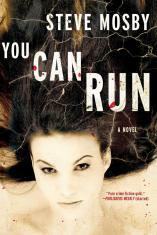 Maud Drennan is a dedicated caregiver whose sunny disposition masks a deep sadness, as a tragic childhood event left her haunted. She keeps to herself, finding solace in her work and in her humble existence --- until she meets Mr. Flood. The lone occupant of a Gothic mansion, Cathal Flood has been waging war against his son’s attempts to put him into an old-age home. Maud is this impossible man’s last chance: if she can help him get the house in order, he just might be able to stay. So the unlikely pair begins to cooperate. Still, shadows are growing in the cluttered corners of the mansion, hinting at buried family secrets, and reminding Maud that she doesn’t really know this man at all. Lu Rile is a relentlessly focused young photographer struggling to make ends meet. Working three jobs, responsible for her aging father, and worrying that the crumbling warehouse she lives in is being sold to developers, she is at a point of desperation. One day, in the background of a self-portrait, Lu accidentally captures on film a boy falling past her window to his death. The photograph turns out to be startlingly gorgeous, the best work of art she’s ever made. 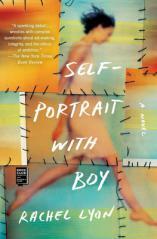 But the decision to show it is not easy, especially as she forges an intense bond with the boy’s mother. Lu becomes torn between equally fierce desires: to use the photograph to advance her career, and to protect a woman she has come to love. In a quiet Dublin suburb, within her pristine home, Eleanor Costello is found hanging from a rope. Detective Chief Superintendent Frankie Sheehan would be more than happy to declare it a suicide. Four months ago, Frankie's pursuit of a killer almost ended her life and she isn't keen on investigating another homicide. But the autopsy reveals poorly healed bones and old stab wounds, absent from medical records. A new cut is carefully, deliberately covered in paint. Eleanor's husband, Peter, is missing. 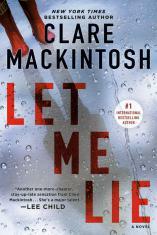 With the suspect pool growing and mysterious calls to Frankie's phone implying that the killer is closer than anyone would like, all Frankie knows is that Eleanor guarded her secrets as closely in life as she does in death. When a car crashes into a garage on an ordinary street, the attending officer is shocked to look inside the damaged building and discover a woman imprisoned within. As the remains of several other victims are found in the attached house, police believe they have finally identified the Red River Killer --- a man who has been abducting women for nearly 20 years and taunting the police with notes about his crimes. But now the main suspect, John Blythe, is on the run. As the manhunt for Blythe intensifies, Detective Inspector Will Turner finds himself fighting to stay involved in the investigation. The Red River killings hold a personal significance to him, and he must be the one to find the killer.